The three generations of the same family have owned this distinctive wood-frame landmark for over a hundred years. Built after the 1900 city fire, it was originally a barbershop, laundry, and wood-yard owned by African-American businessman O. E. Cone. It has since been a residence, a vintage clothing store and art gallery, and since 2002, the home of Downtown Books. 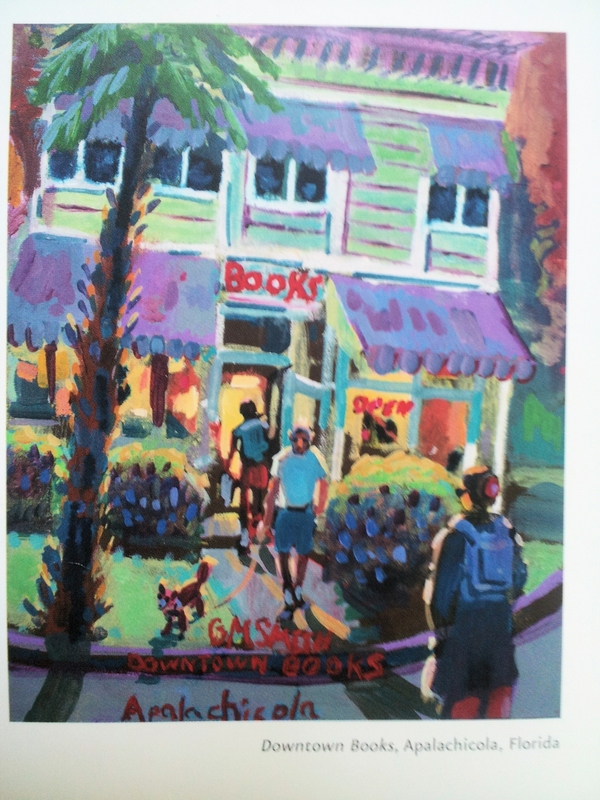 The bookstore started out as an annex to Betsy’s Sunflower, Apalachicola’s legendary kitchen, garden, and gourmet shop, and quickly earned a reputation for hand-picked books and smart personal service. Gorgeous yarns and accessories were added to the mix two years later, and the little backroom yarn shop has attracted a devoted following among fiber fanatics. As we begin our thirteenth year in business, a tip of the garden hat to Betsy Doherty. She moved to Maine and took the Sunflower with her (check out www.betsysunflower.com), but her green thumb and flair for interior decoration continue to distinguish our little corner of town.